Why can’t Skype have a slick user interface like Adium? I read that Skype had released a beta of their latest version for OS X and decided to give it a try, hoping to see some improvements on the user interface, but I was really dissapointed. Why does it have such bulkier and wasteful user interface? Skype could learn a thing or two from Adium. Granted, I had to tweak Adium preferences a bit to get such slick and compact layout, but at least they give me the option to do so. 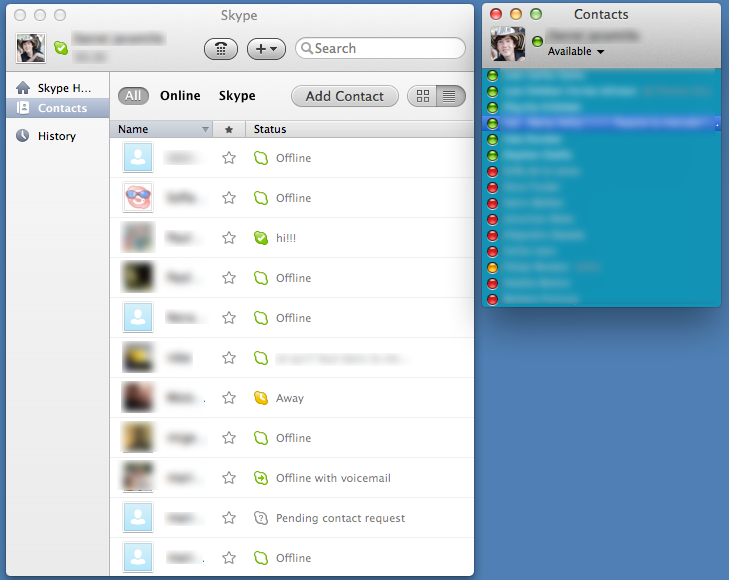 Ironically, the old Skype had a much better interface. Skype is so ugly that I only launch it when I need to use it for an audio/video conference.